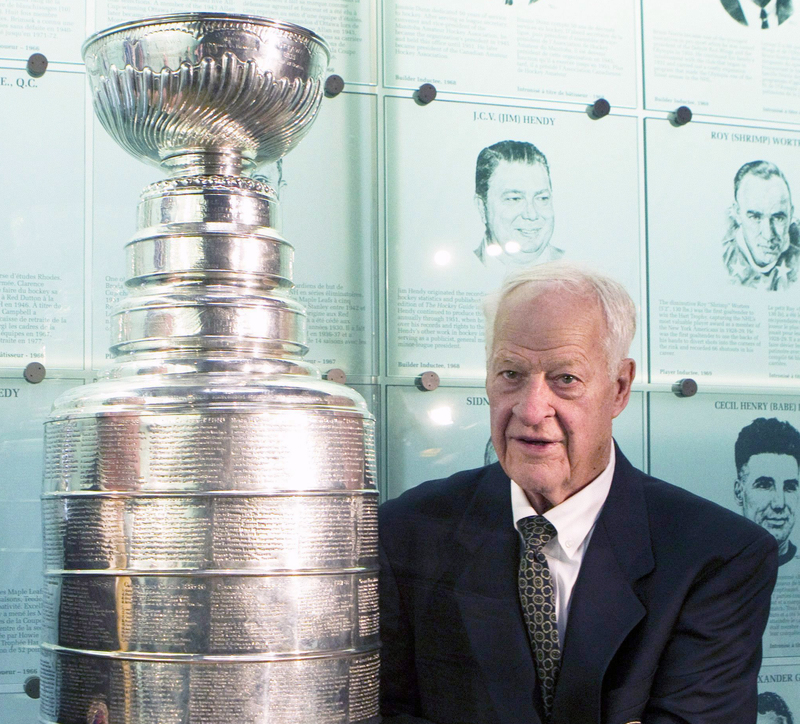 NEW YORK - Gordie Howe was equal parts sharpshooter and street fighter, and remarkably durable to boot. But nobody dominates a rough-and-tumble game for parts of five decades without knowing when to pick his spots. For all that, even “Mr. Hockey” had no say in the timing of his passing. Yet there is little doubt who cast the longer shadow. In the same ESPN interview a moment later, Gretzky struggled to pile on even more superlatives. There were many to choose from. Four-time Stanley Cup winner, six-time MVP, 23-time All-Star, record holder for games and seasons played. Even “revolutionary” would work, because Howe practically guaranteed the NHL-rival World Hockey Association its brief existence by coming out of retirement to play six years with his sons, Mark and Marty, with the Houston Aeros and New England Whalers. He even returned to the NHL at age 52 to put in a season with the NHL-expansion Hartford Whalers. Now that was something Howe knew plenty about. He grew up in Saskatchewan as one of nine kids, started playing organized hockey at 8 and dropped out of high school during the Depression to work and help the family out. At 16, he left that hardscrabble past behind, determined to make his way in hockey. Two years later, in 1946, he made his NHL debut with the Detroit Red Wings. The brawling side of his game was nothing new. Fighting in hockey was part of the job description back then, and few players relished the opportunity to mix it up more. 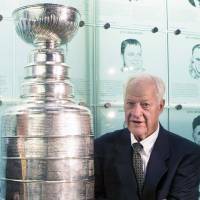 It became such an integral part of his game that after just a few years in the league, sports writers came up with the term “Gordie Howe hat trick” to describe a performance in which a player scored a goal, assisted on another and got swept up in at least one fight. The difference between him and all the other brawlers is that Howe found plenty of time to put the puck in the net besides. He dropped the gloves less frequently as he got older, but he never let go of his hard-earned reputation as a guy you don’t mess with. Howe was good with his fists, but he used his hands to greater effect when they were stuck deep inside a pair of hockey gloves. He was ambidextrous, a rare skill in any game, and he maximized that advantage by playing with a straight stick long after most players switched to curved blades to add some wicked spin to their shots. That way, Howe could park himself in the slot or behind the net, get control of the puck and force defensemen and goalies to gamble on which side he’d choose. There won’t be another like him anytime soon. Today’s NHL is selling speed and sizzle, and de-emphasizing fisticuffs is part of the mission statement. The last thing the league is likely to tolerate going forward is one of its marquee stars brawling his way up and down the ice.